In these challenging economic times, the future of nonprofits – and the important services they provide – will increasingly depend on their continued ability to raise funds. However, fundraising can seem daunting. Nonprofits face various challenges. They battle regulations and struggle to come up with the resources to achieve their missions. They work hard to get the word out about what they do and they juggle donor and shareholder expectations, to name but a few. Fundraising challenges, however, are often the biggest barrier to a nonprofit’s ability to serve its target population. In such a challenging environment, finding ways to make fundraising easier is essential. Knowing the right resources and tools to turn to is an important part of being a resilient and successful nonprofit professional. Donorbox is a fundraising software that is very simple to setup – it takes only 15 minutes to start a fast and optimized donation system. It is perfect for attracting new donors and stewarding recurring donors. Your nonprofit can create custom pre-filled donation amounts with corresponding descriptions of what they are contributing to. Accept currency from all around the world. Donorbox accepts USD, GBP, EUR, AUD, and more. Plus, Donorbox accepts cards, PayPal accounts, bank transfers, as well as Apple Pay and Google Pay. Perfect for desktop computers, phones, and tablets, you’ll be able to embed a donation button to your website. Customize your donation page with your colour scheme, design style, branding and logo. You can even customize the questions you ask to donors. 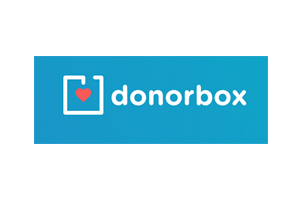 Donorbox also invested heavily in building a platform that will sustain your nonprofit’s long-lasting relationships with donors by allowing donors to manage their own recurring donation plans. Donorbox is free as long as you receive under $1,000 in donations per month. Double the Donation provides technology and tools to nonprofits looking to increase revenue through matching gifts. Their fundraising tool focuses on helping your nonprofit grow revenue through matching gifts. Double the Donation is designed to let your donors know a matching gift option is available to them, and then make the matching gifts process quick and easy. $6-10 billion of matched donations are left unclaimed every year, so Double the Donation guides your donors through a process of giving and claiming the matched gift. You can use this widget on your website page and donation forms. It allows donors to quickly search for their employer in Double the Donation’s database. With Double the Donation, your nonprofit has the ability to create distinct matching gift pages. This matching gift page can be branded to align to your nonprofit’s brand. Double the Donation offers seamless integration with your existing donation pages. Their smallest package, Basic, runs at $299 a year while their most popular plan, Premium, runs at $499 a year. Salsa successfully brought together Salsa Engage for online supporter engagement with Salsa CRM for customer relationship management. Salsa CRM helps you store your donors’ information in one central location for easy access. This tool can save time spent on transferring data and improve your staff’s efficiency. Salsa can help your nonprofit grow its contact list and communicate with your donors through various communication channels. Salsa Labs offers reporting features and dashboard analytics. Getting the right data and producing reports are a breeze. Because Salsa Labs and Salsa CRM integrate seamlessly, they can save your organization a lot of time and money because you will not be switching between a whole array of platforms. SalsaEngage, Salsa’s first package, starts at $179 a month. Fundly stands out as a crowdfunding site for both nonprofits and individuals. Fundly’s platform is easy to use and intuitive, with almost a blog-like interface. On Fundly, every fundraising page has a video and photo gallery that’s front and centre. This allows your nonprofit to add content from YouTube, Vimeo, Facebook or your computer and create an interactive experience for potential donors. Fundly’s VIP service, FundlyPro, gives nonprofits the option to receive additional one-on-one assistance from Fundly’s team of fundraising experts – that can help you reach your fundraising goals. Fundly is very easy to use and set up. Fundly offers a free app that makes it easy to thank new donors, send emails and post blog-like updates. Fundly campaigns are designed to be shared. For example, the Facebook OpenGraph integration automatically broadcasts key campaign activity. It’s absolutely free to launch a Fundly campaign. Fundly charges a straightforward 4.9% platform fee, with payment processing fees of 3% per transaction. Qgiv’s platform is versatile and evolves with your organization as it evolves. Qgiv also boasts a responsive and friendly customer service team that will be at your side if you run into any issues. With Qgiv, your nonprofit can create unlimited online donation forms and brand them to match your organizational brand. Qgiv’s software is easily integrated with a variety of other platforms so that your nonprofit can stay organized and efficient. Qgiv offers text-to-give capabilities so you can streamline your mobile donations collection. Qith Qgiv, you are able to take in-person donations on your iPhone. The software allows you to build event pages for your organization: no design experience necessary. Qgiv’s starter package is $0 per month plus payment processing fees of 3.95% + $.30 per transaction. These are just a few mostly free, easy-to-integrate options for online fundraising, but there are many other tools that can make fundraising easier and more effective. Although all of these fundraising software options offer slightly different features and services, the most important thing is to just start raising funds. Ray is a manager at ECA Tech Inc. , Toronto's top Ecommerce software, website development and digital marketing company. He has been a programmer for 24 years. He has some good experience in integrating designs to various software. He has volunteered in numerous IT related free training courses all over North America and contributes articles on numerous blogs. He also participates in continued education classes at local colleges. What is The Criteria of B-School Ranking? Please leave this field empty. Please prove you are human by selecting the Car.